High quality vinyl finish kitchens with over 40 styles to choose from in over 70 different matt, gloss and textured finishes. We only show a selection of kitchens here. 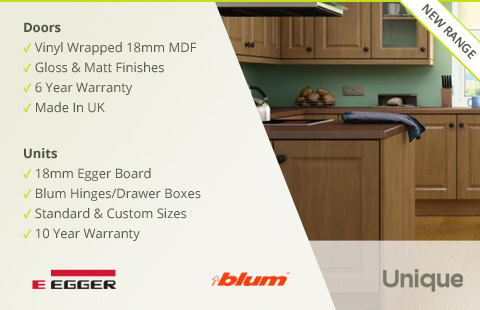 Please see the Unique kitchen doors page for the full range.